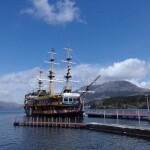 Here is Hakone & Mt. Fuji Sightseeing Tour. 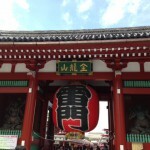 The itinerary can be adjusted or amended as you want. For your inquiry, use our inquiry form at the bottom of this page. Meet your English speaking guide at your hotel lobby. Depart from the hotel by chartered coach. Transfer to Gotemba Premium Outlets. Transfer to hotel (or Ryokan) in Mt. Fuji Area or Hakone Area. After check-in, dinner at hotel restaurant. After check-out, meet your English speaking guide at hotel lobby. Start an excursion in Mt. 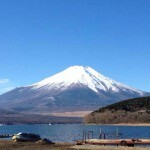 Fuji Area by chartered coach. This is one of the example itineraries. We only offer private tours based on specific dates, number of participants, itinerary, your requests and other conditions. We do not have packaged tours. Weekends, vacation seasons, spring (Mar. – Apr. ), fall (Sep. – Oct.), new year and Chinese new year will be extremely crowded. If you would like to visit in these period, make sure you have plenty of time for preparation. You can send an inquiry 1 year before your departure. Number of PAX: From 1 to big group. Guide: English, Chinese and other language are available. Meal: Breakfast 1 time, Dinner 1 time. We will arrange other meals or menu you requests. Vehicle: Sedan, Minivan or any type of coach. Automobiles will be chartered. Accommodation: Standard Class, Twin Room (2 PAX USE). You can request other type of rooms or higher grades. As we check availability after your inquiry, we cannot guarantee to fulfill your expectation. If non-smoking rooms are fully booked, deodorized smoking rooms will be offered as proposal, but it might not be completely deodorized. Mt. Fuji 5th Station will be closed due to heavy snow or roads with bad condition. Itinerary and time for each spot can be changed or delayed due to traffic jam or unexpected troubles. We cannot accept or offer your tour if you have only 21 days or less before your departure. Payments: We only accept bank transfer (receiving money through the wire). Your payment need to be done 14 days before your departure. We do not accpect other payments such as credit card or cash. All tours are private tours based on your requests. Tour fee depends on date, number of participants, itinerary, your requests and other conditions. As detailed information is required, we do not have standard price or rough estimation.